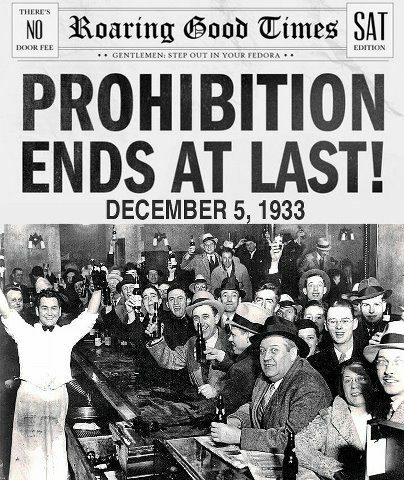 79 years ago today, the 21st Amendment ended the prohibition of alcohol, which had been enacted 13 years earlier with the 18th Amendment. Prohibition was a well-meaning government program intended to address the social, criminal, and health-related problems of alcohol abuse. But it turned out that prohibition created unintended consequences such as black markets, criminal trafficking, dangerous underground products, and a culture that demonized even responsible enjoyment of alcohol. This should have been a lesson about prohibition more generally. Can you think of something else the government currently bans even for consenting adults in the "land of the free?" Senator Warren has Ties to Mafia?